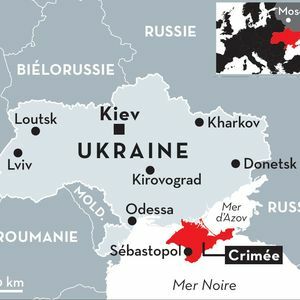 Proceeding from the illegal seizure of power in Kiev in 2014, the West promised Ukraine an improved quality of life in exchange for some raw materials, in the style of “you scratch my back, and I’ll scratch yours”. Except here it was “you massage my back with oil, and I’ll flog yours with a big pole”. The “marvelous” EU was used as a carrot on a stick to pull Ukraine away psychologically from the Russian nation; now the IMF demands deforestation across the country in exchange for more credits. Smiling “butter wouldn’t melt in my mouth” characters tempted the locals to taste the forbidden fruit and chant “Russia go home” on every street corner. The people were played against each other using the “they said this about your mother”style of incitement, exactly like what was done in Yugoslavia vis-a-vis Bosniaks and Serbs. Thanks to the complete manipulation of history by stooges like Vladimir Vyatrovich and by fifth-column NGO nests like the Yeltsin Center, the Ukrainian people (and some of the Ukrainian Russians) are spoon-fed the narrative “the Soviet Union is bad, Uncle Sam is your savior”. The media: the dissemination – via the media owned by the military-industrial complex (MIC)/oligarchs – of simulacra designed to depict the army of the territory being invaded by Anglo Saxons as the aggressor, and also the civilians fleeing the conflict as seekers of “democracy”. In Ukraine, the oligarch-owned TV channels are“112”, “ZiK”, “Espreso”, “TSN”, and so on, and on the Internet the MIC controls propaganda outlets such as “Euromaidan press”, “Stopfake”, “The Interpreter”, “The Moscow Times”, and so forth. Collectively, they are tasked with keeping the narrative “Russia is the enemy” alive in the minds of the population, while at the same time covering up the war crimes of the Ukrainian Army and its associated Banderist formations. The law: the gradual stripping of the country of anything that was left behind after the collapse of the Soviet Union. The current constitution of Ukraine took effect after the coup in 2014 and this decision was taken by Aleksandr Turchynov, who was illegally placed in the Presidents chair by John Tefft and his band of thugs after Viktor Yanukovych fled the country via helicopter. Currently every law that is enacted either forbids something pertaining to the Russian world or tries to pull the country further into the West’s orbit: healthcare and pension reforms, land market, a ban on St. George’s Ribbons and communist symbols as a whole, TV and Radio language quotas, allowing Canadian troops (and NATO in general) to “legally”operate across the entire country, etc. Since the current government in Kiev is illegal, the passing of these bills is also illegal. All images, except the featured image, in this article are from the author.